Medical malpractice lawsuits that result in multi-million dollar awards generally do so for one of three reasons. 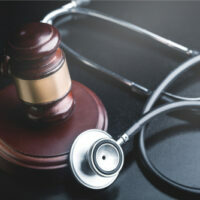 Either the victim suffered permanent impairment, the victim suffered disfigurement, or the victim died as a result of a doctor’s medical negligence. In the case of a 26-year-old being treated for vasculitis, a jury awarded $15.9 million after she had to have her fingers and toes amputated. Her attending doctor, a rheumatologist of Holy Cross Hospital in Broward County, failed to properly diagnose ulcerations in the woman’s feet. The doctor waited a week before transferring the woman to the University of Miami Hospital. But by then it was too late. The tissue in her feet and toes had necrotized. In other words, the tissue died. Statistically, the majority of medical malpractice lawsuits arise from misdiagnosis cases. In a lawsuit such as this, the plaintiff’s job is to prove that the doctor failed an agreed upon standard of care. In other words, they must show that the defendant neglected to do something that a reasonable doctor would have under the same circumstances. That injuries result from an adverse medical outcome is not enough to prove malpractice. Even if the injuries suffered by the plaintiff are egregious and life-altering, the plaintiff’s attorney must be able to prove that the doctor failed in some way to offer their patient a reasonable standard of care. In this case, the patient was admitted to Holy Cross Hospital in 2008 complaining of pain in her hands and ulcerations in her toes and feet. These are common symptoms in those who suffer from vasculitis. Vasculitis is an inflammation of the blood vessels. If left untreated, vasculitis can cause serious damage to organs. It is typically treated with immunosuppressants like steroids. In this woman’s case, the disease was allowed to progress to the extent that caused cell death in her fingers and toes. The only thing that doctors could do for her at that point was to remove the dead tissue. When the woman arrived at the hospital, she was near death. Nine of her toes and a part of her foot had to be amputated. She also lost her right thumb and the tips of two fingers that had turned black from gangrene. She was not only disfigured as a result of the doctor’s negligence, but she is left permanently impaired as well. The woman now requires the use of prosthetic devices to help her walk. She can only stand for 30 minutes at a time. In cases like these, plaintiffs are customarily awarded heavily for pain and suffering, emotional distress, loss of earning capacity, inability to enjoy their lives, inability to do household chores, and future medical expenses. The woman was award $5 million for medical costs, $900,000 for lost wages, and $10 million for pain and suffering. If so, the attorneys at the office of Alan Goldfarb, P.A. in Miami can help you get compensation for your injuries. Give us a call at (305) 371-3111 or contact us online. We can begin preparing your case right away.